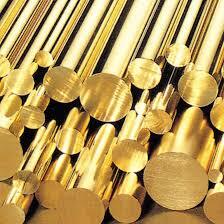 Brass Round Bars have a shiny polish on the surface with fine edges and are available in a quality packaging. We offer a wide range of excellent quality products that are designed and developed under the vigil eyes of quality examiners. We, along with our veteran packaging professionals, ensure that the packaging products commence keeping the packaging guidelines in consideration. We strictly use quality packaging material to evade loss during transit.